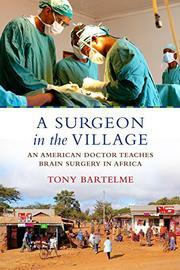 The story of an American brain surgeon in Tanzania and the work he has done to develop surgeons in the East African country. In 2006, Dilan Ellegala, a Sri Lanka–born American citizen and gifted neurosurgeon, took a sabbatical at a missionary hospital in Haydom, Tanzania. His plan was to clear his head, practice a bit of medicine, and perhaps figure out what he wanted from his career and life. Immediately, he understood that he had entered a completely different world. Tanzania, a country of 43 million people, had only three neurosurgeons, and other specialties were similarly lacking. Ellegala knew that he could not fill the gap himself and that relying on visiting doctors was insufficient. So he decided to teach Emmanuel Mayegga, an assistant medical officer, how to conduct brain surgery. It was a risky gambit, but it seemed to work. Within a few years, Mayegga had gone to medical school and trained a protégé, who in turn trained his own protégé. Ellegala started a nonprofit based on the principle that Tanzanians should be primarily responsible for providing medical care to their countrymen. Post and Courier (Charleston, South Carolina) senior projects reporter Bartelme, a three-time Pulitzer Prize finalist—including for the series of articles that provide the foundation for this book—tells the story of Ellegala and his personal and professional triumphs and struggles. The author writes fluidly and clearly admires his subject even as he acknowledges Ellegala’s flaws. On the whole—but not always—Bartelme avoids the hoariest clichés about the Western hero in darkest Africa, though he has a tendency to try to make each one of his short chapters more portentous than some of them warrant. Nonetheless, this is a fine book about a devoted doctor attempting to help Tanzanians help themselves. A highly inspirational story about sustainable global health measures.